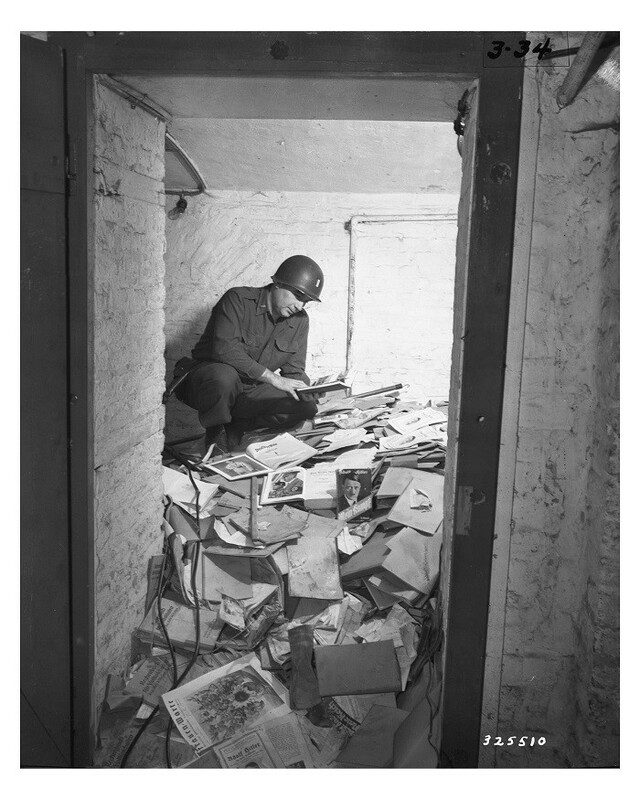 A US soldier inspects piles of Nazi books, including Mein Kampf, that were found in a German school. As part of their denazification policies, Allied authorities purged German libraries, bookstores, and schools of Nazi propaganda. Aachen, Germany, May 2, 1945.